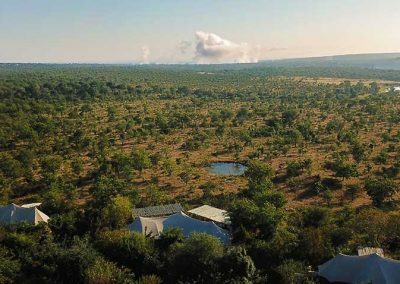 The Elephant Camp is a luxury safari camp tucked away in the teak woodland of the Victoria Falls National Park. The interior of the camp marries modern designs with cultural concepts and is reminiscent of a bygone era of wild enchantment. 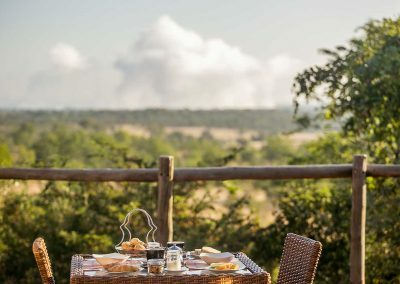 This safari experience is unsurpassed with a sweeping view of the unscathed savanna and the curtain of mist that hangs on the horizon above the Victoria Falls, a mere ten kilometres away. 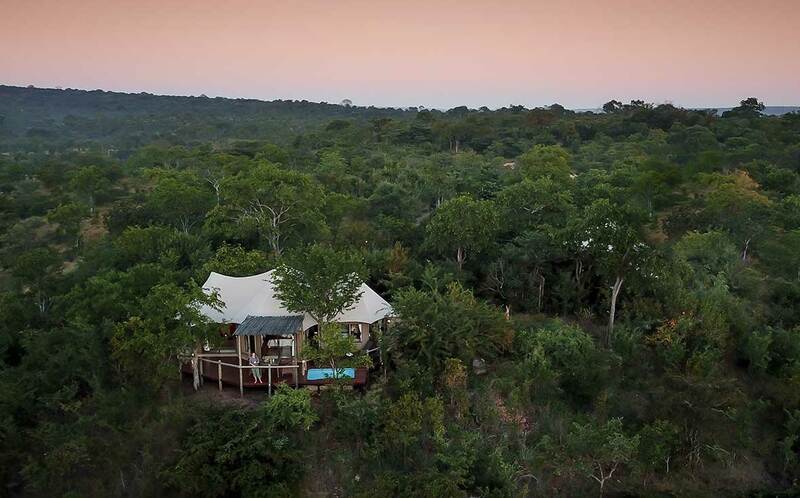 Beams of sunlight and gusts of air flood the spacious tents that create eco-friendly luxury atop the raw African landscape. 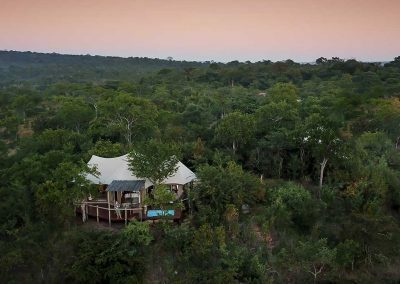 Even when indoors, guests have the sensation of being enveloped by the wilderness that thrives in this beautiful part of the world. 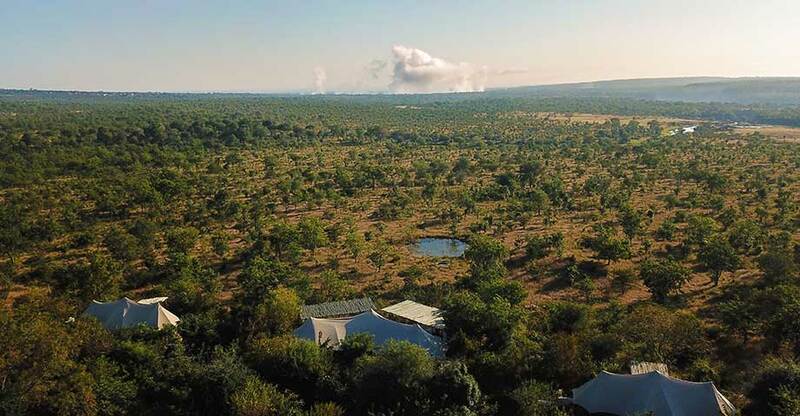 This exclusive bush paradise is situated among the intriguing eco-systems that make up the Zimbabwean bushveld, giving guests unique insight into the complexities of life in the wild. 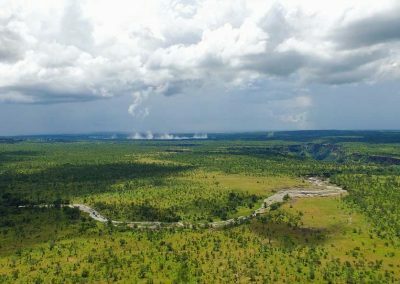 The town of Victoria Falls is only twenty minutes away, giving guests complete flexibility to shape their own experience that focuses on the moments that are the most important to their holiday. Our experienced guides will bring you breath-taking close to members of the Big Five Family. Indulge in sensual spa treatments on your private deck, awash with the tranquillity of the surrounding wilderness. Let our team of passionate chefs tantalise your taste-buds under the stars that spill across the navy night-time sky. 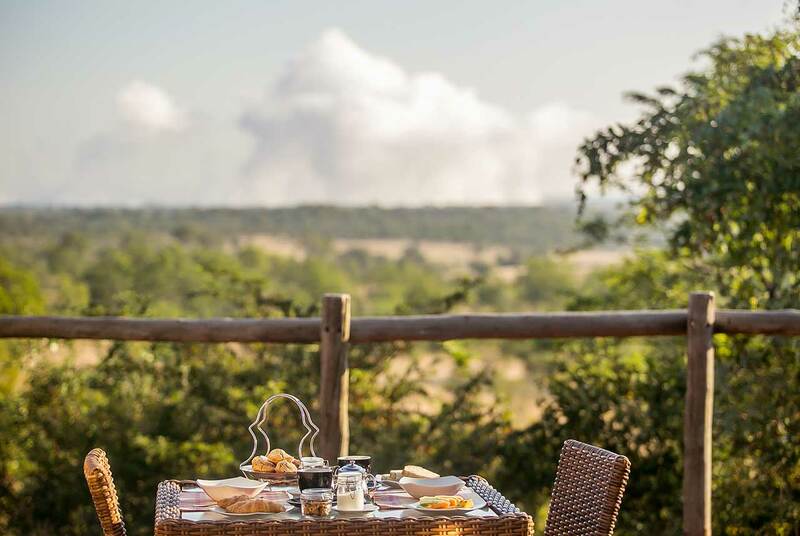 The Elephant Camp allows you to explore Africa in the most opulent and serene way.